Maximize the return of your information technology investment with advanced voice and data cabling in Houston, including customized phone systems in Houston. We are Committed to each of our client’s success at Elite DataComm Solutions and work diligently to help you meet your company's IT goals & objectives. 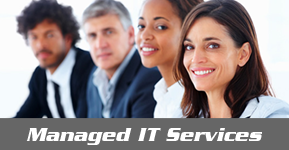 Streamline your business and support the growth of your company with managed IT services and IT consulting in Houston. Through technology, industry leading best practices, and experienced people, we provide exceptional managed IT services and VoIP Business Phone Systems with personalized service. Elite DataComm Solutions, managed IT services specialists in Montgomery, Texas, offers streamlined IT systems and Network Infrastructure support. With more than 15 years of experience, our company provides solutions for small to medium-sized businesses throughout Texas and the United States. If you have been searching the Internet for voice and data cabling in Houston, IT services in The Woodlands, Business phone systems Houston, or Business phone systems in The Woodlands, you have probably read plenty of confusing information. 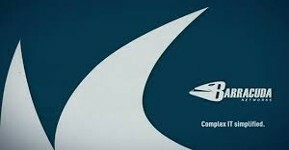 At Elite DataComm Solutions, our goal is to take the difficulty out of finding IT solutions. Our experts offer IT consulting services to better determine your specific needs. Data center design services are available to provide a smarter option for data storage. Rather than build your own data center, you may opt to rent space in our co-location data center. We also offer managed IT services, which include cloud hosting, remote management, help desk support and backup options. Outsourcing IT activities is a good way to save money today, and our customers notice a great difference when doing this. If you have IT staff managing day-to-day activities within your business, they will have access to our expert advice and tools. This helps minimize the duration of outages and maintenance tasks, and that contributes to more revenue over time. Spam, malware and viruses are serious issues all businesses face online today. In addition to protecting yourself online, it is crucial to protect the information of your client base. They trust you to keep their data safe, so it is important to honor their trust with the best security essentials. We provide firewall and security solutions to keep you and your clients' information safe. We also offer installation, design and maintenance of data cabling and voice cabling. There are several different categories of cabling to consider, and we go over all of the specifics of each with you. Based on your individual needs, we can recommend the most efficient options for you. Phone contact is a vital part of many business operations. 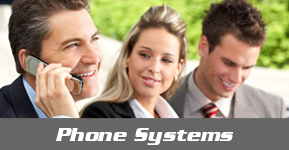 Whether you are dealing with vendors or clients, it is important to have a business phone system that works for you. We offer VoIP services to meet your verbal communication needs. There is no need to spend more time searching terms online such as Managed IT services Houston, Managed IT services The Woodlands, Business phone systems Houston, or Business phone systems The Woodlands. Trust Elite DataComm Solutions, business IT service specialists in Montgomery, Texas, to provide streamlined network infrastructure support and IT systems. Offering over 15 years of experience, we provide solutions to small-sized and medium-sized companies throughout Texas and the United States. Contact us in Montgomery, Texas, for exceptional business IT services including Managed IT Services, Consulting and Network Design.